Hi everyone, as I’m now sharing multiple photos of our region in the olden days, I’ve changed the title of this series of postings to “Local History Photos.” And remember, if you have, or find, any photos of the people, places or events that occurred in the region in days past that you don’t know what to do with; you can donate them to the library and assist us in improving our Local History Photo Archive! And now, on to the photos of the week! We have no idea who this somber officer is! 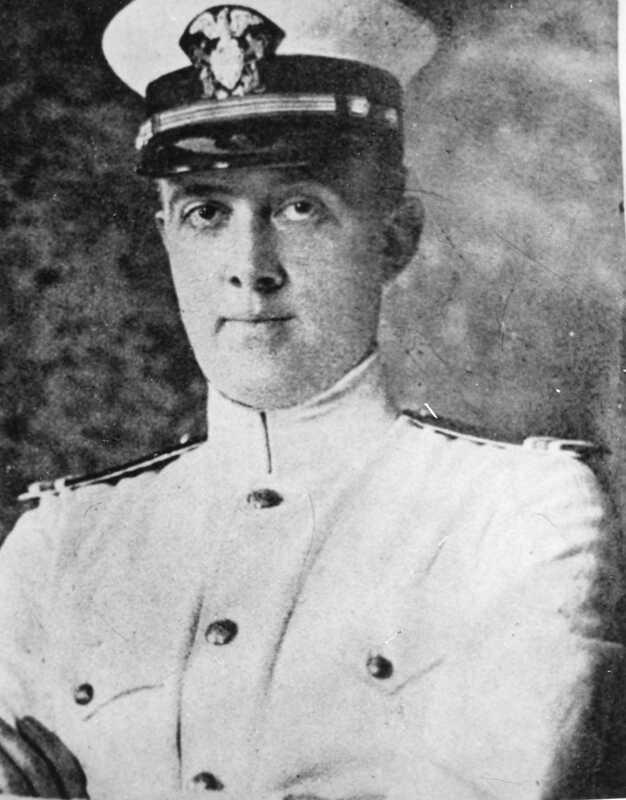 I’m a librarian and not, of course, an expert in which military uniforms come from which era but I’m thinking, perhaps, he’s wearing a World War I era navy dress uniform? If you know who he is or what era his uniform comes from please let us know. Our second photo for this week actually consists of one photo and part of a second photo. 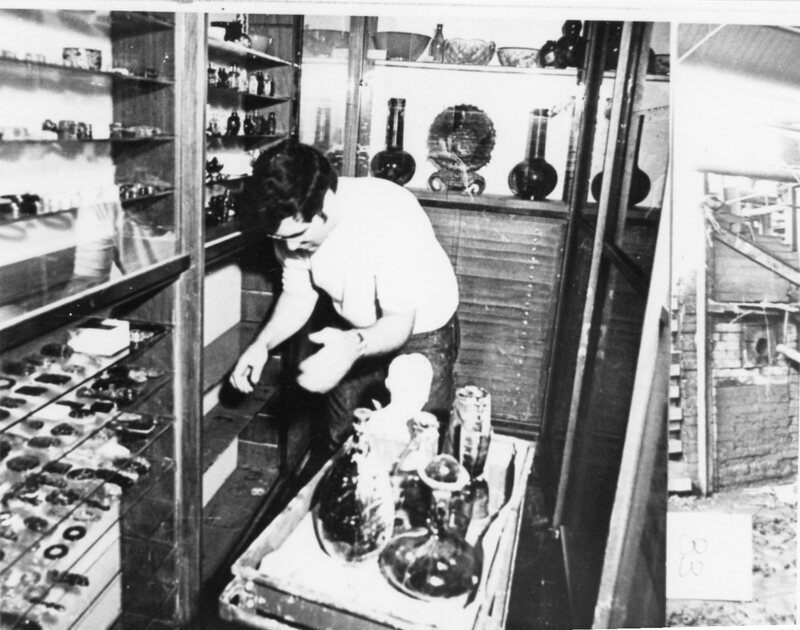 And we’re going to ignore the part at the very right after the line and focus on the full photo which shows an unidentified man in what looks like a glass shop. I’m wondering if this might be a photo of the Corning Museum of Glass after the Flood of ’72? If you know where the photo was taken and/or who the mystery man is — let us know! 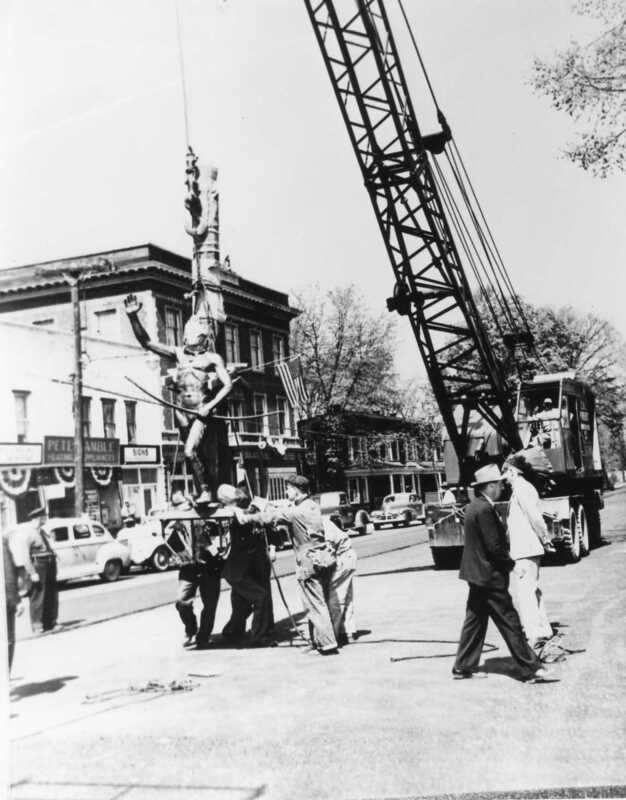 Our third photo of the week was obviously taken in Painted Post, and I’m guessing from the cars and the patriotic banners that they the men are installing the new Indian statue, the one that the late Norman Phelps designed, that was installed on Memorial Day 1950 — although the archival card for this photo doesn’t have a date.